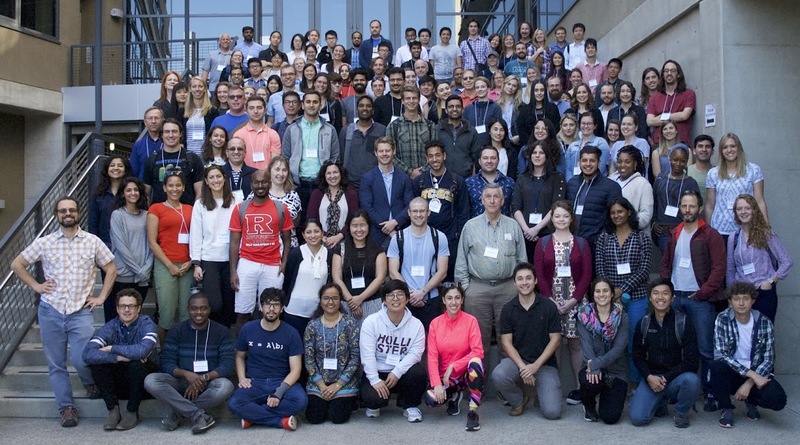 EEGLAB users from around the world gathered together at SCCN’s 28th EEGLAB Workshop which took place from November 8-12, 2018 at the San Diego Supercomputer Center of UC San Diego. The EEGLAB workshop began with an open house reception and poster sharing session the day following the end of the Society for Neuroscience meeting in downtown San Diego. The workshop introduced and demonstrated the use of EEGLAB and EEGLAB plug-in tools for performing analysis of EEG and related data, and included overview talks on principles of EEG data analysis, detailed method expositions, and practical exercises. Click here to view the EEGLAB 2018 event website! Electroencephalography (EEG) is one of the most powerful tools to study how the human brain works. In the late 1990’s and early 2000’s, scientists at UC San Diego, including SCCN’s Dr. Scott Makeig, felt a desire to share resources within the EEG scientific community. They built an open source tool to process and analyze EEG data. EEGLAB, as it is called, continues to evolve to meet the needs of scientists around the world. Click here to learn more about the EEGLAB project, and where EEGLAB Workshops have been held throughout the world!